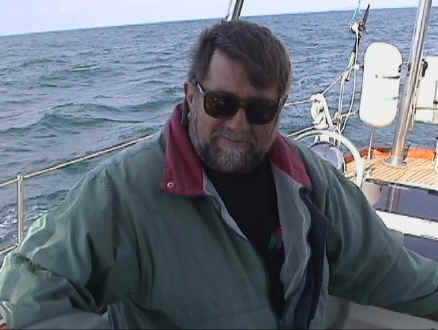 Captain Clark Straw on passage about 300 miles southwest of Fiji. 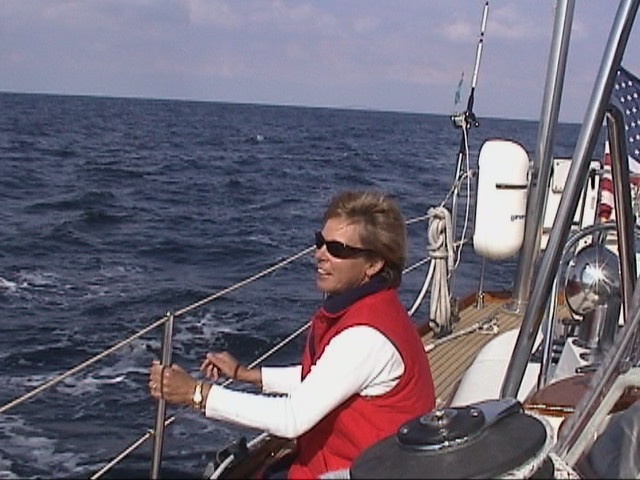 Admiral Suzy Straw on passage between San Diego and Cabo San Lucas. 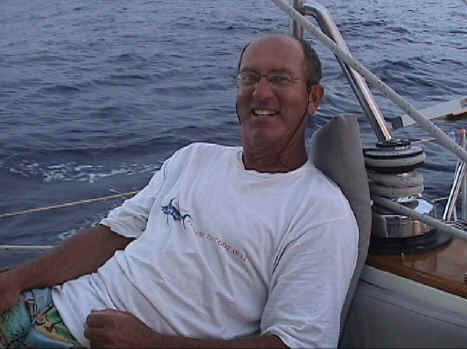 First Mate Kevin Straw – from Puerto Vallarta to New Zealand (2002) and New Caledonia to Australia (2004). Ships Surgeon Mark Cohen - from Mazatlan to La Paz (2001). 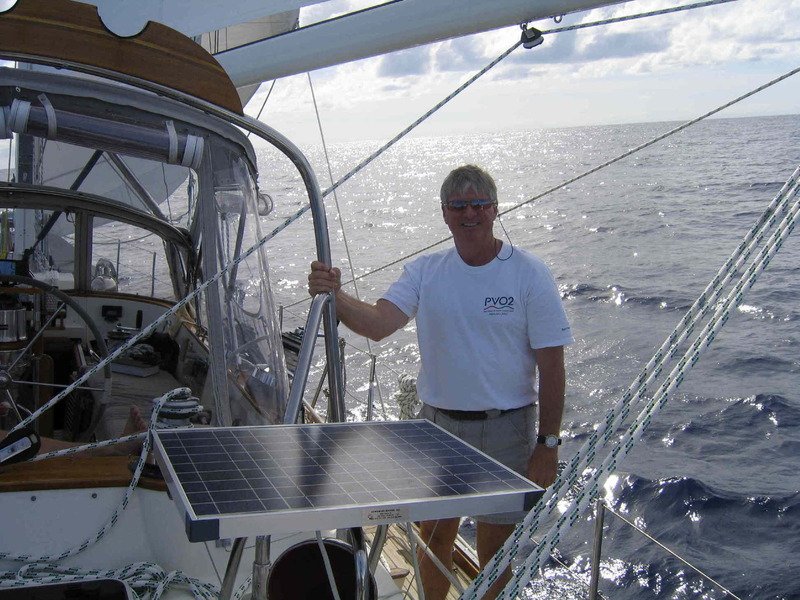 Sailor Extraordinaire John Prentice – from PV to Hiva Oa (2002). Exceptional Able Bodied Seaman Steven Gloor – from New Zealand to Fiji (2004). Ship's Surgeon Available for crewing…especially to South Pacific! That's right, folks! If you happen to need good crew for a leg of a voyage, Dr. Mark Cohen has advised us that he's retired and quite available for such an assignment. 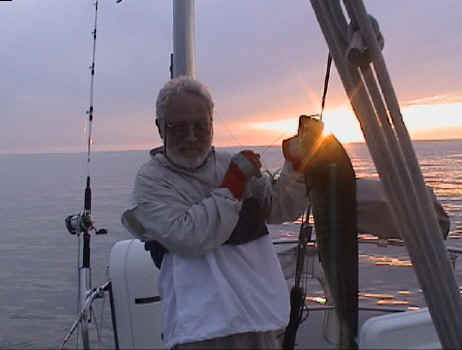 And, not only would that give you a personal physician aboard, you'd also have a pretty good fisherman as well. Just watch out for the hemostat jokes! And, don't feed him straight wasabi! If interested, you can contact Mark by clicking here.